Anderson Cooper reports live at 8 and 10 p.m. ET on the devastating impact of the deadly storm. 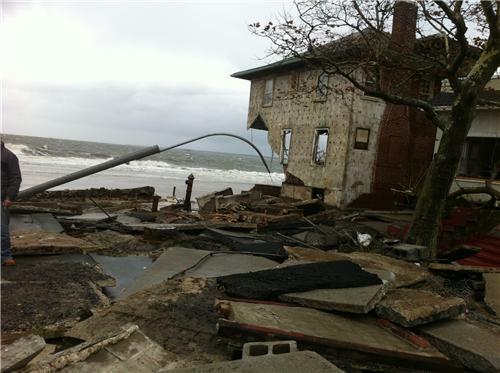 Millions are still without power and search and rescue operations continue. Tonight, details from Anderson and our correspondents across the Northeast. 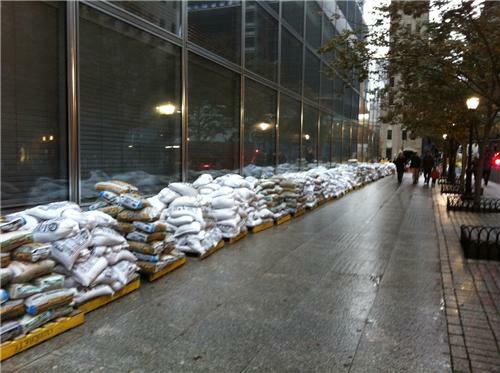 Sandbags lined up in lower Manhattan on Vesey Street. "I expect at some point tomorrow our paths will cross" Atlantic City Mayor on NJ Gov "I'm not about personalities; I'm about principle"
Mayor Akers says he's overwhelmed by destruction in #SeasideHeights, NJ "If you don't see it, you just can't fully understand it"
A house destroyed by Sandy in Sea Gate, Brooklyn in New York.